Mrs. Ethel Washington is a managing partner and co-founder of The Taharka Group, LLC. Mrs. Washington studied Communications at Rochester Institute of Technology, is licensed with the state of Florida as a Realtor and Mortgage Broker and holds a certification as a Cash Flow Consultant with ACFA. Mrs. Washington is the Branch Manager of AApex Mortgage. 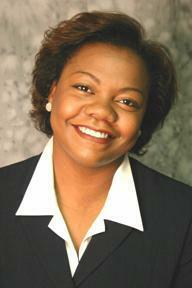 Prior to co-founding The Taharka Group, Ethel Washington had an extensive career in Market Research Consulting. Most recently, Mrs. Washington held a position as Senior Project Director for MSW Research, a New York Based consulting firm. There Mrs. Washington was responsible for quantitative research on the effectiveness of Television and Print Advertisement for key accounts such as L'Oreal, L'Oreal Prestige, Kimberly Clark, Fisher-Price and Purdue LLP. Prior to accepting this position Mrs. Washington served as Director of Local TV News Research for Norman Hecht Research, heading a team of analyst to quantify the reach and appeal of various local CBS and FOX Network Affiliates. Her responsibilities included, managing a research team as well as outside field service companies, project design, questionnaire writing, monitoring field statistics and writing formal findings. Mrs. Washington also held a management associate position with Hanigan Consulting Group where she managed qualitative research into human resource issues for Cargill, Pfizer and Citicorp. Mrs. Washington is also an active real estate investor. She also brings this experience to assist her clients. 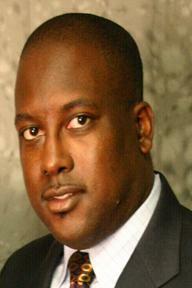 Mr. Brian Washington is a managing partner and co-founder of The Taharka Group, LLC. Mr. Washington holds a BSEE from Rensselaer Polytechnic Institute and is licensed with the state of Florida as a Mortgage Broker and holds a certification as a Cash Flow Consultant with ACFA. Prior to co-founding The Taharka Group, Brian Washington had an extensive career in telecommunications sales. Most recently Mr. Washington served as Associate Director of Sales supporting the Department of Defense in the Southeastern United States for Verizon Federal Inc. In this position, Mr. Washington was the primary point of contact for his government customers and responsible for driving $15M of revenue growth. Prior to moving to Verizon, Mr. Washington worked for Craftsmen Electrical Co. as a Project Engineer. He was responsible for the development, design and pricing of, industrial, commercial and residential electrical construction projects. Mr. Washington is also an active real estate investor. He also brings this experience to assist his clients. The Taharka Group, LLC was founded in 2005 as a small business partnership by Brian Washington and Ethel Washington. The organization has two key divisions; Alternative Business Funding and Mortgage Services.The Alternative Business Funding division specializes in Business Finance Consulting, providing innovative financial solutions for the corporate health and well being of small to medium sized businesses. The Mortgage Services division specializes in providing mortgage services for residential and commercial real estate transactions. The Taharka Group's mission objective is to provide solutions to customer needs and to support the overall business development and mission of their clients and customers. Taharka Funding, a full-service division of The Taharka Group, specializes in providing innovative financial solutions for the corporate health and well being of small business. Taharka Funding's mission is to support small business with the cash flow challenges associated with business growth. Taharka Funding is not a bank or a venture capitalist, but offers alternative funding solutions for established businesses and startups. Unlike conventional methods, most of these options are not based on the credit worthiness of the business owner, require very little paper work and have a very quick turnaround time for approval. They are able to help B2B businesses get the working capital they need for upcoming projects by leveraging their income streams. They are focused on assisting small businesses with the cash flow challenges associated with; growth, payroll, taxes, inventory, advertising, equipment, expansion, renovation, etc. The Taharka Group, LLC owns and operates a branch office of AApex Mortgage, enabling them to provide full service mortgage services in thirty states. The team understands that great rates are not a differentiating factor, so they pride themselves in providing an exceptionally high level of customer service. This is accomplished by maintaining a highly qualified staff of Loan Originators and Processors who believe in open lines of communication and in making themselves accessible to their clients. The Mortgage Services Division's primary mission is to educate consumers so they make the best mortgage decisions possible for their situation. Unlike conventional mortgage brokers, The Taharka Group's mortgage consultants focus on educating consumer's about their mortgage options as well as the home buying process. To this end The Taharka Group provides a free Quarterly e-newsletter Mortgage Matters. Each issue tackles a new mortgage situation and provides solutions to solving mortgage dilemmas. The Taharka Group also provides FREE home buying seminars on "How to Get Your Dream Home". The Taharka Group has partnered with not only some of the worlds largest financial institutions, but has also made relationships with some of the more flexible lenders to ensure that our customers have a wide range of mortgage options.